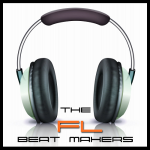 With mastering tools now being more available to beatmakers and home studios it is more common to see producers trying to master their own productions. The problem with this is that many don’t have a good understanding of what needs to happen in order to get a properly mixed and mastered beat. 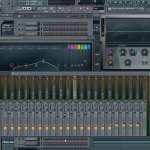 One thing you will notice is that a lot of producers end up with a completely squashed file. This is because the limiter in their mastering chain is compressing the file and completely squashing it. So how do we overcome this? Yeah, Ozone is definitely completely squashing the file. Are you compressing any of the instruments/drums individually before you export out for mastering? If you automate volume on the individual tracks and use compression on the individual tracks, Ozone will not have to squash your mix as much to bring it up to a high level. 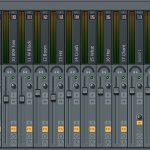 By automating the volume I am referring to using automation clips to raise and lower the volume of the individual instruments to make the consistent across the entire song. Then add compression to individual instruments and/or instrument groups that still need evened out. Before your Render your audio down to a WAV file for mastering you need to make sure you do a few things first. 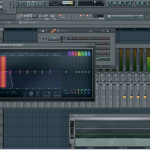 Since a lot of producers are having issues with a squashed file when they master we are going to attack that problem. First, you need to make sure you are using volume automation and compression on the individual instruments and instrument groups before exporting your mix. This will even out some the volume changes, and reduce the amount of compression that needs to be done on the final master. Compressing in layers sounds better and lessens the load on your master limiter. Use volume automation to even out volume levels on your individual tracks especially if there are large volume changes. Once you have evened out the levels with volume automation you can compress in layers to even them out further. To do this add compressors to the individual tracks and instrument groups. Once you have completed this and finalized your mix you are then ready to export your final mix. At this point it is ready for your mastering limiter and should provide a much better result. Feel free to leave comments and let us know if you have any questions on this.